Sony came down hard on PlayStation 3 hackers today, saying they will be permanently banned from the company's online services. "Violation of the system software license agreement for the PlayStation 3 System invalidates the consumer guarantee for that system," reads a notice posted to Sony's official PlayStation blog. "In addition, copying or playing pirated software is a violation of international copyright laws. Consumers using circumvention devices or running unauthorized or pirated software will have access to the PlayStation Network and access to Qriocity services through PlayStation 3 system terminated permanently." To avoid the lifetime shutout, Sony said, consumers must "immediately cease use and remove all circumvention devices and delete all unauthorized or pirated software from their PlayStation 3 systems." In the post, Social Media Manager Jeff Rubenstein said the policy represents an initial response to questions from PlayStation.Blog readers about how Sony plans to deal with breaches of its policy. The company did not say when the ban will begin, but the blog PS3 News is reporting that many users of its PS3 forums have already confirmed receiving e-mail notices from Sony followed by their PlayStation 3 consoles being banned. According to one account, "If you get error 0x8002A227, Sony banned your PS3 from the PSN." 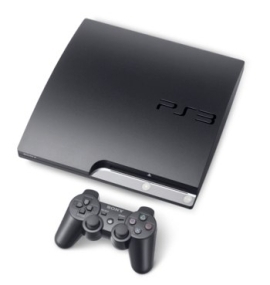 This is just the latest step by Sony to thwart PlayStation 3 jailbreaks. In the most well-publicized battle, the company last month requested a restraining order against famed iPhone jailbreaker George Hotz, also known as Geohot, for coming up with a jailbreak that lets people run unauthorized software on the PS3. Sony alleged that the jailbreak, created with the assistance of the hacking group fail0verflow, violates the Digital Millennium Copyright Act and asked a court to stop Hotz from making any material related to his hack available on the Web. Hotz countered Sony's claim, saying his solution was a jailbreak for a closed system, just like any jailbreak for mobile phones, which are explicitly allowed by the DMCA. A U.S. District Court granted a temporary restraining order, and Hotz has since removed all mentions of the jailbreak from his site, but Sony mistakenly retweeted the jailbreak code. Sony also took legal action last year to halt the sales in some places of PS Jailbreak, a USB dongle that allows PlayStation 3 owners to dump borrowed games onto the system's hard drive. In addition, Sony has tightened security with each successive firmware update. In its statement today, the company said that "by identifying PlayStation 3 systems that breach our guidelines and terminating their ability to connect to PlayStation Network, we are protecting our business and preserving the honest gameplay experiences that you expect and deserve." A majority of commenters to the blog seem pleased by Sony's latest move. "Thanks for acknowledging this officially. Good to know Sony is not just hoping that this goes away," wrote one poster. Wrote another: "Thank You Sony! Ban these punks!" But a few voices of dissent popped up on the forums as well. "If Sony actually took the time to know what us (the consumers) wanted, maybe they would see less piracy," one person wrote. "I mean the whole reason hackers want to hack the PSP Go is to play games that are still only available in UMD only." Wrote another: "While I understand the security and legal issues relevant to piracy and hacking, if I felt companies' motivation was pure, I [might] be OK with this stern stance. But, I think it is motivated more by greed and control than anything else. They want to keep all the $$$ for themselves."